"The art of silence is an art of extreme concentration that seeks essences rather than superficiality and can result in a spirituality that nearly transcends realism itself." --the publisher. In this fascinating study, Ward examines the use of silence in American art and literature as found in the work of Agee, Evans, and Hopper, as well as Sherwood Anderson, and Ernest Hemingway. 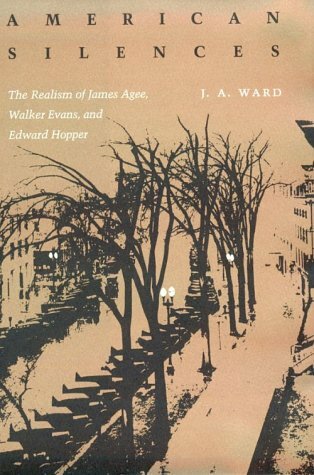 More briefly, Ward discusses the work of Poe, Melville, James, and Henry Adams. American Silences is a most valuable book that discusses Evans' photographs outside the context of photography, lending new insight and understanding of his work.